The Chamber's Membership Breakfast is held monthly and has over 150 Chamber members and community leaders in attendance. At each breakfast, business and community leaders attend to build relationships and strengthen their business networks. This event keeps our members informed of current events and what is happening at the Chamber. Sponsoring a breakfast is one of the most coveted opportunities the Chamber has to offer. Having the opportunity to give away promotional items to each attendee, receive microphone time to promote your business, and the ability to give a presentation on a topic of your choosing are all included in this enticing sponsorship package. This main sponsorship is typically sold a year in advance, so if you are interested get on the waiting list right away. There are other sponsorship opportunities available on a monthly basis. 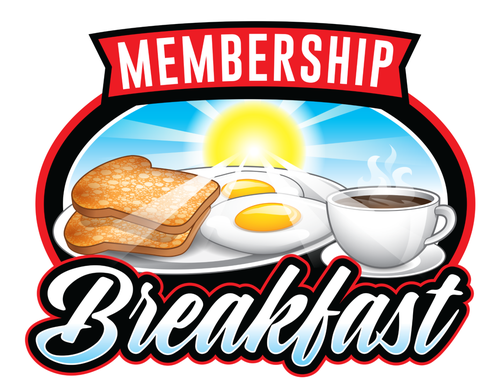 All sponsorships must be confirmed by the Chamber two weeks prior to the breakfast. Space is limited and tends to sell out months in advance. Tabletop Sponsors: $75.00 and include 6ft table for display and two tickets to the event. Save $10.00 when you register online before 12:00 Noon the Monday before the event. The Miramar Pembroke Pines Regional Chamber of Commerce does not provide refunds or credits on events after registration.